Lyn Gardner: Should the arts accept oil money? Midway through Matt Hartley and Kirsty Housely’s Myth, part of the Royal Shakespeare Company’s Mischief Festival in Stratford-upon-Avon, a comedy about a dinner party from hell turns darker. Ice in the fridge melts, oil pools on the floor and dead birds drop from the ceiling. It’s a disconcerting shift, starkly pointing up how we refuse to face up to environmental catastrophe until it impacts us directly. 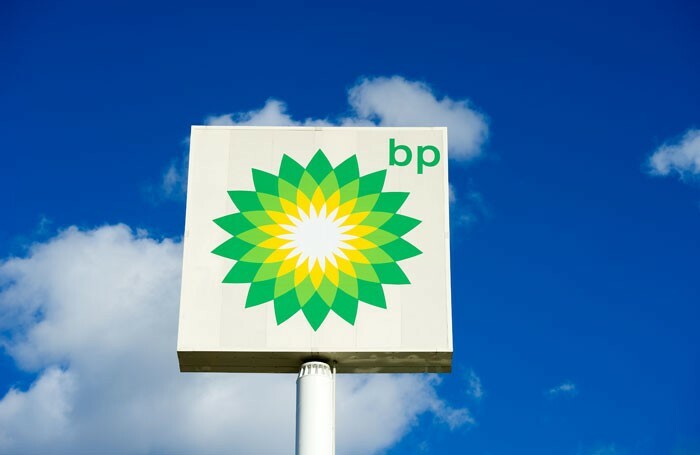 It’s all the more startling because, at a time when many arts organisations are looking to divest themselves of relationships with unethical sponsors, and some, including the Royal Court, are actively pursuing ethical fundraising policies, last year the RSC signed a new sponsorship deal with oil giant BP. It was not alone; the Royal Opera House did likewise. Some may argue that the mere presence of Myth on its stage is evidence that the RSC is prepared to bite the hand that feeds it, and there is no self-censorship in its relationship with its oil company sponsor. In any case, isn’t the money received being put to good purpose? The RSC’s BP money is funnelled into a scheme offering £5 tickets to those aged 16-25. Last week, a new crowd-funded alternative, backed by leading industry figures including Andrew Garfield, Mark Rylance, Tamsin Grieg, Caryl Churchill and Maxine Peake, was launched by Culture Unstained with the aim of providing ethical £5 fossil-free tickets as an alternative to the RSC’s BP-backed initiative. The industry support for fossil-free tickets suggests that the idea that dirty money can be washed clean by the arts maybe losing ground. Yet two weeks ago the Financial Times ran an article – linked to protests at the British Museum by BP or not BP, which in April staged an anti-oil sponsorship protests at the RSC – warning that the arts will suffer if it takes the moral high ground and turns its back on business sponsorship, whatever the source of the cash. Former Arts Council chairman Lord Goodman was once quoted as saying: “Wherever the money comes from—it can be rolled by the Mafia – if it goes to the arts it becomes good money.” That position was loudly echoed last year by Lloyd Dorfman who sponsored the NT’s Travelex scheme and subsequently gave so much money to the NT that they named not just a seat, but an entire theatre after him. He declared that those calling for an end to all arts funding by any major oil company were “profoundly misguided,” and that “rather than attracting protests BP should applauded for its support for the arts”. The argument is that corporate funding increases quality, widens access and plugs the gaps that are increasingly appearing in public funding from the Arts Council and local councils. The latter has fallen by more than £56 million since 2009. Business sponsorship and philanthropy can help do all these things, but that doesn’t mean that the arts should take all offers without considering how the money was made. There have always been those who have used good causes as a way to deflect attention from doubtful business practice, or who hope to massage an image problem by association with the arts. Plenty of businesses who sponsor the arts operate entirely ethically and their support is welcome. But, whenever the cultural sector is benefiting from cash injections, the question must be asked: although it may bring benefits to our theatre and audience, is there a price for this sponsorship that is being paid by someone else, somewhere else? It can’t be a trade-off between educational work with disadvantaged UK-based young people and their opportunity to access the arts, and the impact, environmental or otherwise, on the lives of those who live out of sight and therefore out of mind. One of the beauties of Myth is the way it skewers our refusal to take personal responsibility for how our actions impact climate change. Arts organisations are under ever-increasing pressure to look for alternative sources of funding, and to do that they have often learned to speak the language of business. But that doesn’t mean they have to espouse the values of the market. If part of the function of the arts is to be disobedient and subversive and say the things that disrupt and challenge the status quo, then it is likely that function will be at odds with the interests of business. The message of Myth is a crucial one, but if the messenger is associated with an oil company, it reduces its impact. When theatres and arts organisations sacrifice principles for pragmatism and short-term gain, they risk much longer-lasting damage, including compromising artists and leading audiences to question the discrepancy between the work they see on an organisation’s stages and the sponsorship deals it is willing to make.